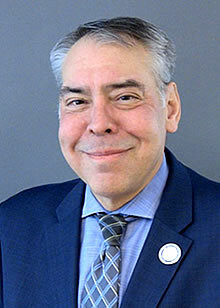 John Lopez is a Senior Vice President at Cassidy & Associates, bringing over 20 years of Capitol Hill and private sector lobbying experience he uses to win for clients. John was chief of staff to former U.S. Senator John Ensign of Nevada, who was a member of the Senate Republican leadership and the powerful Commerce, Science, and Transportation and Finance committees that oversee issues that touch every American such as taxes, trade, health care, and the internet. John was the Senator’s designated Republican leadership staff member and formed key relationships with other leadership aides during weekly strategy meetings. John oversaw over 40 employees in the legislative, press, administrative, and constituent service functions of the office. John has substantive knowledge about the legislative process, particularly in the Senate, and has worked extensively on obtaining federal funding for hundreds of diverse projects including roads, aviation, water systems, and program dollars. John co-wrote a bipartisan law that has generated $3 billion in guaranteed spending for quality-of-life amenities in Nevada such as parks, trails, ballfields, land acquisition, and a record $300 million for Lake Tahoe environmental restoration. Most recently, John was a senior director at a D.C. government affairs firm where he represented local governments, a port which secured a $20 million BUILD infrastructure grant, a Fortune 500 retailer, casinos, and large homebuilders. John also lead government affairs for Cox Communications, the nation’s largest privately-held telecommunications company, for the Las Vegas market and represented the enterprise at all levels of government by ensuring Cox operated in a favorable regulatory environment. 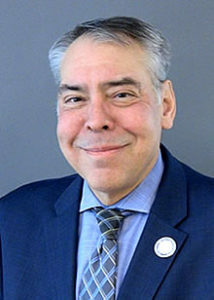 Prior to Cox, John served as the manager of government affairs for the city of Las Vegas and a vice president of R&R Partners in D.C.
John grew up in Reno, Nevada and his proudest accomplishment is a law that provided for an inscription on the site of Dr. Martin Luther King Jr.’s 1963 “I Have A Dream” speech at the Lincoln Memorial.